Tomohito Hiromori. (2014). What are the determining factors of L2 improvised speech performance? An exploratory study. In M. Paradowski (Ed. ), Teaching languages off the beaten track (pp. 111-126). Frankfurt: Peter Lang. Tomohito Hiromori. (2013). Motivational design for effective second language instruction. In M. Apple, D. D. Silva and T. Fellner (Eds. 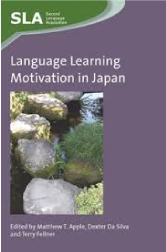 ), Language learning motivation in Japan (pp. 291-308). Bristol, UK: Multilingual Matters. 廣森友人 (編著) (2009). 『到達目標準拠型英語一貫プログラムの構築』 愛媛: 愛媛大学英語教育センター. 廣森友人 (2006). 『外国語学習者の動機づけを高める理論と実践』 東京: 多賀出版. 大学英語教育学会学習ストラテジー研究会 (編著) (2006). 『英語教師のための「学習ストラテジー」ハンドブック』東京: 大修館書店. 廣森友人 (2005). 「日本人高校生は何に注目して日本語学習者の日本語運用を評価するのか」　リタ高橋李玉香・宮副ウォン裕子・山口敏幸・マギー梁安玉 (編) 『日本研究と日本語教育におけるグローバルネットワーク』　香港: 香港城市大学, 77-87頁. 廣森友人 (2019). 「英語学習者のプロファイリングを利用した自律学習支援に関する研究」『明治大学人文科学研究所紀要』 第84巻, 125-150. Tomohito Hiromori. (2019). Profiling and tracing learner autonomy development through an integrated understanding of autonomous language learners. In C. Cunningham, C. Danjo, I. Meddegama, D. Brien & R. Wicaksono (Eds. ), Taking Risks in Applied Linguistics: Proceedings of the 51st Annual Meeting of the British Association for Applied Linguistics. Cambridge: British Association for Applied Linguistics. 吉村征洋・廣森友人・桐村亮・仁科恭徳 (2019). 「英語ドラマ制作によるプロジェクト型協同学習が学習者の心理的側面に与える影響」 JACET Kansai Journal, 21, 23-44. Masahiro Yoshimura, Tomohito Hiromori, Ryo Kirimura, and Yasunori Nishina. (2017). Motivating EFL students through the use of project-based cooperative learning. ThaiTESOL Journal, 30, 41-57. 尾関直子・廣森友人 (2016). 「L2スピーチ・プロダクションの発達研究: ダイナミックシステム理論からのアプローチ」『明治大学人文科学研究所紀要』 第79巻, 1-28. 仁科恭徳・吉村征洋・桐村亮・廣森友人 (2016). 「日本人英語学習者におけるDTA体験のモデル構築に関して」『神戸学院大学グローバル・コミュニケーション学会紀要』 第1号, 35-54. 廣森友人・泉澤誠 (2015). 「中高大における英語学習動機づけの発達プロセスとその背景要因」『明治大学国際日本学研究』 第8巻第1号, 37-50. Masahiro Yoshimura, Tomohito Hiromori, Ryo Kirimura, and Yasunori Nishina. (2014). An effective way to utilize Graded Readers in the EFL classroom: Reading Graded Readers comparatively with their original literary works. In H.Y. Lee (Ed. ), Proceedings of the International Conference on Language and Communication 2013: Innovative Inquiries and Emerging Paradigms in Language, Media and Communication (pp. 46-56). Bangkok, Thailand: The National Institute of Development Administration. Tomohito Hiromori. (2014). Individual differences in patterns of motivation and conditions that increase motivation in L2 acquisition: A Dynamic Systems Theory perspective. JACET Journal, 58, 21-37. 廣森友人 (2014a). 「ダイナミックシステム理論に基づいた新しい動機づけ研究の可能性」 The Language Teacher, 38, 15-18. 廣森友人 (2014b). 「自律的な学びを促す教育実践」 全国英語教育学会第40回研究大会記念特別誌編集委員会 (編). 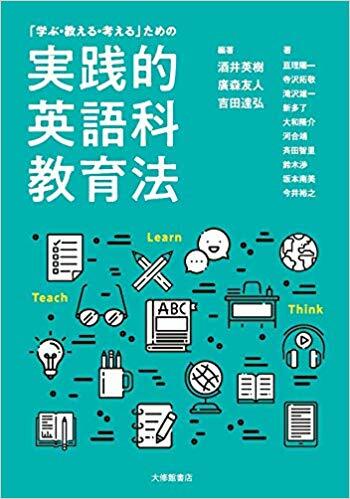 『全国英語教育学会第40回研究大会記念特別誌：英語教育学の今－理論と実践の統合－』 246-250頁. Hiroyuki Matsumoto, Akira Nakayama, and Tomohito Hiromori. (2013). Exploring the development of individual difference profiles in L2 reading. System－An International Journal of Educational Technology and Applied Linguistics, 41, 994-1005. Hiroyuki Matsumoto, Tomohito Hiromori, and Akira Nakayama. (2013). Toward a tripartite model of L2 reading strategy use, motivations, and learning beliefs. System－An International Journal of Educational Technology and Applied Linguistics, 41, 38-49. 廣森友人 (2013). 「自律学習の処方箋：自律した学習者を育てる視点」 『中部地区英語教育学会紀要』 第42号, 289-296頁. Tomohito Hiromori, Hiroyuki Matsumoto, and Akira Nakayama. (2012). Profiling individual differences of successful and unsuccessful L2 readers. The Journal of Asia TEFL, 9, 49-70. Akira Nakayama, Hiroyuki Matsumoto, Neil Heffernan, and Tomohito Hiromori. (2012). The influence of goal orientation, past language studies, overseas experiences, and gender differences on Japanese EFL learners' beliefs, anxiety, and behaviors. Apples－Journal of Applied Language Studies, 6, 19-39. 廣森友人 (2012a). 「英語学習者の動機づけを高める指導実践：動機づけ評価の診断的活用」　ARELE (Annual Review of English Language Education in Japan), 23, 361-372. 廣森友人 (2012b). 「大学の英語クラスで行う到達目標準拠型の指導と評価」 『英語教育2012年10月増刊号』 46-48頁. 廣森友人 (2010a). 「動機づけ研究の成果は，外国語教師に何を教えてくれるのか?」 『上智言語学会年報』 第25号, 110-127頁. 廣森友人 (2010b). 「学習者の動機づけと英語熟達度が動機づけ方略への認識に与える影響」 『立命館言語文化研究』 第22号, 159-167頁. Tomohito Hiromori. (2009). A process model of L2 learners' motivation: From the perspectives of general tendency and individual differences. System－An International Journal of Educational Technology and Applied Linguistics, 37, 313-321. 廣森友人 (2009). 「愛媛大学版英語運用能力判断基準（CAN-DOリスト）の精緻化と妥当性の検証」　ARELE (Annual Review of English Language Education in Japan), 20, 281-290. Ryusuke Yamato, Takashi Kimura, Hiromi Tsuda, Junko Carreeira-Matsuzaki, and Tomohito Hiromori. (2009). Pilot lessons integrating learning strategy instruction into English activities at primary schools. 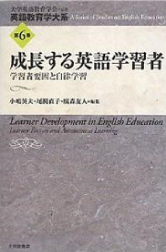 ARELE (Annual Review of English Language Education in Japan), 20, 231-240. 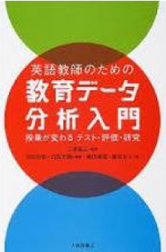 折本素・廣森友人・田中英理・山西博之 (2008). 「愛媛大学共通教育「英語」カリキュラム開発への取り組み：統一英語能力テスト（GTEC for STUDENTS）の導入と効果検証」 『四国英語教育学会紀要』 第28号, 59-68頁. 山西博之・廣森友人 (2008). 「適切な指導と評価を目指した，愛媛大学共通教育「英語」カリキュラム開発への取り組み：英語運用能力判断基準（CAN-DOリスト）の開発とその意義」　ARELE (Annual Review of English Language Education in Japan), 19, 263-272. 廣森友人 (2007). 「タスクに対する取り組みと動機づけ」 『四国英語教育学会紀要』 第27号, 1-10頁. 田中博晃・廣森友人 (2007). 「英語学習者の内発的動機づけを高める教育実践的介入とその効果の検証」 JALT Journal, 29/1, 59-80. 田中博晃・廣森友人・山西博之・広瀬恵子 (2007). 「教育現場に根ざした英語ライティング研究を目指して：英作文の指導と評価」 『大学英語教育学会（JACET）中国・四国支部研究紀要』 第4号, 55-72頁. Tomohito Hiromori. (2006). The effects of educational intervention on L2 learners' motivational development. JACET (Japan Association of College English Teachers) Bulletin, 43, 1-14. 廣森友人・田中博晃 (2006). 「英語学習における動機づけを高める授業実践: 自己決定理論の視点から」 LET (Language Education and Technology), 43, 111-126. 廣森友人 (2005a). 「外国語学習者の動機づけを高める３つの要因：全体傾向と個人差の観点から」 JACET (Japan Association of College English Teachers) Bulletin, 41, 37-50. 廣森友人 (2005b). 「応用言語学と自己決定理論の接点：自律学習の観点から」 HELES (Hokkaido English Language Education Society) Journal, 5, 79-94. Tomohito Hiromori. (2005). Metacognitive strategy instruction in L2 reading. Research Bulletin for English Teaching, 2, 1-19. Tomohito Hiromori. (2004a). Motivation and language learning strategies of EFL high school students: A preliminary study through the use of panel data. JACET (Japan Association of College English Teachers) Bulletin, 39, 31-41. Tomohito Hiromori. (2004b). Learner autonomy in L2 language education: The Self-Determination Theory perspective. HELES (Hokkaido English Language Education Society) Journal, 4, 83-95. 廣森友人 (2004). 「メタ認知を重視した外国語学習ストラテジー指導：母語話者評価活動を取り入れた学習指導案作成の試み」 小林ミナ(代表) 『日本人は何に注目して外国人の日本語運用を評価するのか』 平成12年度－平成15年度科学研究費補助金 [基盤研究(B)(2)] 研究成果報告書, 236-252頁. Tomohito Hiromori. (2003). Intrinsic/extrinsic motivation and foreign language learning. IRICE (Institute for Research in International Communicative English) PLAZA, 13, 76-84. Koyo Yamamori, Takamichi Isoda, Tomohito Hiromori, and Rebecca Oxford. (2003). Using cluster analysis to uncover L2 learner differences in strategy use, will to learn, and achievement over time. International Review of Applied Linguistics (IRAL), 41/4, 381-409. 廣森友人 (2003a). 「学習者の動機づけは何によって高まるのか：自己決定理論による高校生英語学習者の動機づけの検討」 JALT (Japan Association for Language Teaching) Journal, 25/2, 173-186. 廣森友人 (2003b). 「何が英語学習者の動機づけを高めるのか：自己決定理論に基づいた英語学習動機づけの調査分析」 STEP (Society for Testing English Proficiency) Bulletin, 15, 142-151. 廣森友人 (2003c). 「発達的視点に基づいた動機づけの検討：高校生英語学習者の場合」 HELES (Hokkaido English Language Education Society) Journal, 3, 71-81. 廣森友人・山森光陽 (2003). 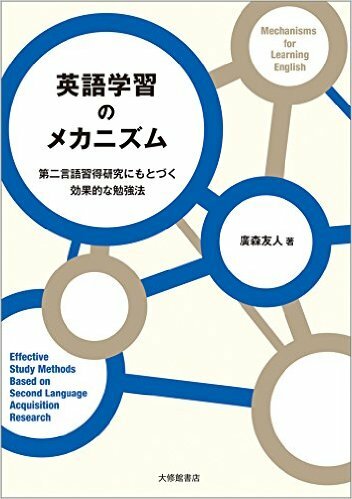 「有能感を高める教室：学習者・教師・学級風土が作り出す相互作用」 Language Education and Technology (LET), 40, 231-239. 廣森友人 (2002a). 「第二言語/外国語教育における言語学習動機づけ研究：動機づけ研究の新しい枠組みへ」 『大学英語教育学会（JACET）北海道支部15周年記念論文集』 19-31頁. 廣森友人 (2002b). 「学習における“メタ認知”の重要性とその英語教育への応用について」 Journal of the Asahikawa Educational Reports, 6, 9-16. 廣森友人・太田有香 (2002). 「英語教師の誤り訂正に対する学習者の嗜好」 HELES (Hokkaido English Language Education Society) Journal, 2, 37-49. 山森光陽・廣森友人 (2002). 「中学生用英語学習目的尺度の高校生への適用の検討」 HELES (Hokkaido English Language Education Society) Journal, 2, 51-60. 廣森友人 (2001a). 「外国語教育における自律学習とそれを支える関連諸要因について」 HELES (Hokkaido English Language Education Society) Journal, 1, 35-47. 廣森友人 (2001b). 「日本人EFL学習者の学習ストラテジー使用から得られる学習者訓練(learner training)への示唆について」 Asahikawa Studies in English Language and Literature, 10, 79-94. Ron Murphy, Neil Heffernan, and Tomohito Hiromori (2009). 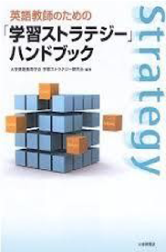 『Skills that Thrill: Strategies for Real-World Reading』 Tokyo: Cengage Learning. Mark Stafford, Tomohito Hiromori, and Hiroyuki Yamanishi (Eds.) (2008). 『Stepping Stones to Effective Writing』 Tokyo: Kirihara-Longman. Patricia Lyons, Sunao Orimoto, and Tomohito Hiromori (Eds.) (2007). 『Fundamentals of Effective Speaking』 Tokyo: Seibido. 廣森友人 (2018). 「やる気は伝染する!? ペア／グループワークにおける動機づけ」 『英語教育6月号』 東京：大修館書店, 14-15頁. 根岸雅史・廣森友人・他 (2017). 「座談会：学習意欲を高める指導とは」『Teaching English Now (Vol.36)』 東京：三省堂, 2-11頁. 廣森友人 (2016a). 「書評：馬場今日子・新多了 (著) 『はじめての第二言語習得論講義－英語学習への複眼的アプローチ』 (大修館書店，2016年)」 『英語教育12月号』 東京：大修館書店, 90頁. 廣森友人 (2016b). 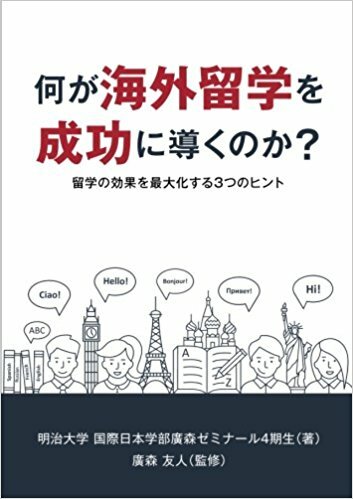 「やる気になれる家庭学習: WHY, WHAT, HOW?」 『英語教育10月号』 東京：大修館書店, 10-12頁. 廣森友人 (2016c). 「学習者の動機づけの「未来予想図」は描けるのか？」 『英語教育6月号』 東京：大修館書店, 13-15頁. 廣森友人 (2015). 「「動機づけ」理論を理解する5つのキーワード」 『英語教育5月号』 東京：大修館書店, 32-33頁. 卯城祐司・廣森友人・他 (2014). 「く文部科学省で検討中の「小学校英語教育の改革」に対する提言〉について」 『英語教育10月号』 東京：大修館書店, 70-72頁. 廣森友人 (2013a). 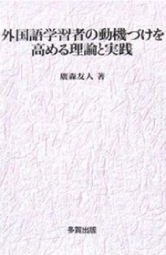 「書評：柴田美紀 (著) 『沖縄の英語教育と米軍基地－フェンスのうちと外での外国語教育』 (丸善出版，2013年)」 『英語教育8月号』 東京：大修館書店, 91-92頁. 廣森友人 (2013b). 「自律した学習者を育てる英語指導を考える」 青山学院英語教育研究センター (編) 『青山学院英語教育研究センター2012年度報告書』 12-15頁. 廣森友人 (2012). 「ペア・グループ活動を多用した学生主体型のリーディング授業」 JACET第2次授業学研究特別委員会 (編) 『高等教育における英語授業の研究: 学習者の自律性を高めるリメディアル教育』 61-62頁. 廣森友人 (2006a). 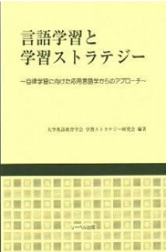 「書評：三森ゆりか (編) 『外国語で発想するための日本語レッスン』 (白水社，2006年)」 『英語教育10月号』 東京：大修館書店, 92頁. 廣森友人 (2006b). 「「やる気」をどう測るか」 『英語教育1月号 (特集：やる気を引き出す)』 東京：大修館書店, 24-26頁. 廣森友人 (2004). 「"self-monitoring"を取り入れて－高校ライティング」 『英語教育10月号 (特集：学習ストラテジーを授業に！)』 東京：大修館書店, 24-26頁. 廣森友人・山森光陽 (2003). 「よりよい学級風土が育む有能感：中学生と高校生における英語学習の場合」 『英語教育10月号』 東京：大修館書店, 47-49頁. Tomohito Hiromori (2018). Profiling and tracing learner autonomy development through an integrated understanding of autonomous language learners. Paper presented at The 51st annual meeting of the British Association of Applied Linguistics (BAAL). Lord Mayors Walk, York (UK), York St John University. 2018/09/07. Masahiro Yoshimura・Tomohito Hiromori・Ryo Kirimura・Yasunori Nishina (2018). The motivational effects of project-based film-making activity through cooperative learning in Japanese university. Paper presented at The 10th International Conference on Language, Innovation, Culture, and Education (ICLICE) 2018. Ho Chi Minh City (Vietnam), Liberty Central Saigon Citypoint Hotel. 2018/06/29. Ryo Kirimura・Masahiro Yoshimura・Tomohito Hiromori・Yasunori Nishina (2018). Smartphone fiming as a motivational output activity in a large-sized EFL class. Poster presented at The ASEAN-ELT International Conference 2018. Melaka (Malaysia), Hotel Equatorial, Melaka. 2018/03/17. Tomohito Hiromori (2018). The effects of task repetition on the development of L2 speech production: A Dynamic Systems Theory perspective. Paper presented at The 16th Annual Hawaii International Conference on Education 2018. Honolulu (Hawaii), Hilton Hawaiian Village Waikiki Beach Resort. Tomohito Hiromori (2017). Mechanisms for learning a foreign language: Theory and practice from the perspective of second language acquisition research. Keynote lecture delivered at The 14th International Conference on Japanese Language Education in Malaysia. Kuala Lumpur (Malaysia), University of Malaya. 2017/10/07. Ryo Kirimura・Yuko Shimizu・Tomohito Hiromori・Masahiro Yoshimura (2017). An alumni survey to affect students' awareness of English learning objectives in Japan. Paper presented at The 19th International Conference and Workshop on TEFL & Applied Linguistics. Taoyuan City (Taiwan), Ming Chuan University. 2017/03/10. Masahiro Yoshimura・Tomohito Hiromori・Ryo Kirimura・Yasunori Nishina (2016). The effect of cooperative learning on EFL learners’ motivation. Poster presented at 14th Asia TEFL International Conference. Vladivostok (Russia), Far Eastern Federal University. 2016/07/02. Masahiro Yoshimura・Ryo Kirimura・Tomohito Hiromori・Yasunori Nishina (2016). An approach to enjoying more "literariness" in the process of language learning. Poster presented at the International Conference on Inclusive Education and Mother Tongue-Based Multilingual Education. Manila (Philippines), Manila Pavilion Hotel. 2016/02/18. Lei Lishan・Tomohito Hiromori (2015). The relationship between L2 motivation and L3 motivation. Paper presented at 13th Asia TEFL International Conference. Nanjing (China), Nanjing International Youth Cultural Center. 2015/11/07. Makoto Izumisawa・Tomohito Hiromori (2015). A retrospective study of Japanese EFL learners’ motivational changes and their causes. Paper presented at The Annual Conference of American Association of Applied Linguistics (AAAL 2015). Toronto (Canada), Fairmont Royal York. 2015/03/22. Masahiro Yoshimura・Tomohito Hiromori・Ryo Kirimura (2104). An effective approach to use English literature in the EFL classroom. Poster presented at The 17th World Congress of the International Association of Applied Linguistics (AILA 2014). Brisbane (Australia), Brisbane Convention and Exhibition Centre. 2014/08/14. Masahiro Yosshimura・Tomohito Hiromori・Ryo Kirimura・Yasunori Nishina (2013). Graded readers in the EFL classroom: Reading graded readers comparatively with their original literary works. Poster presented at The 6th International Conference on Language and Communication (ICLC 2013). Thailand, National Institute of Development Administration. 2013/12/12. Tomohito Hiromori (2011). Uncovering the profiles of good L2 readers: From a holistic perspective. Poster presented at The 9th Asia TEFL International Conference. Korea, Hotel Seoul KyoYuk MunHwa HoeKwan. 2011/07/28. Akira Nakayama・Hiroyuki Matsumoto・Neil Heffernan・Tomohito Hiromori (2011). The influence of past language studies and overseas experiences on current EFL learning of Japanese university students. Paper presented at New Dynamics of Language Learning: Spaces and places－intentions and opportunities. Finland, University of Jyvaskyla. 2011/06/08. Tomohito Hiromori. (2010b). What are the determining factors of L2 improvised speech performance?. Paper presented at the International Conference on LTIME 2010. Poland, University of Warsaw. 2010/09/17. Tomohito Hiromori. (2010a). Foreign language learning motivation and three psychological needs. Poster presented at the 8th Hawaii International Conference on Education. Hawaii, Waikiki Beach Marriott Resort & Spa. 2010/01/07. Ryusuke Yamato・Takashi Kimura・Tomohito Hiromori・Junko Carreira-Matsuzaki・Hiromi Tsuda. (2009). The Strategy Orientation of Language Teaching (SOLT): Development of an observation instrument for strategy-supported language instruction. Paper presented at the Asian Conference on Education 2009. Osaka, RAMADA Hotel Osaka. 2009/09/24. Naoko Ozeki・Tomohito Hiromori・Ryusuke Yamato. (2009). What are learners thinking about while they were performing a task? Paper presented at the 7th Hawaii International Conference on Education. Hawaii, Hilton Hawaiian Village Beach Resort & Spa. 2009/01/06. Tomohito Hiromori. (2008). L2 learners' motivational process from the situation-specific perspective. Paper presented at the International Conference on Foreign Language Teaching and Learning 2008. Malaysia, Hilton Petaling Jaya Hotel. 2008/03/18. Tomohito Hiromori. (2007). The effects of instructional intervention on motivating L2 learners: The Self-Determination Theory viewpoint. Poster presented at the 3rd International Conference on Self-Determination Theory. Toronto: University of Toronto. 2007/05/25. Tomohito Hiromori. (2003). What factors do Japanese high school students pay attention to when they evaluate learners' performance of Japanese. Paper presented at the 6th International Symposium on Japanese Language Education and Japanese Studies. Hong Kong: City University of Hong Kong, 2003/11/08. Tomohito Hiromori. (2002). Underlying factors to support learner's autonomy in foreign language education. Paper presented at AILA 2002: The 13th World Congress of Applied Linguistics. Singapore: Singapore International Convention and Exhibition Center, 2002/12/16. Yasushi Kawai・Tomohito Hiromori. (2002). NS evaluators as foreign language learners: The two-way perspective for NS evaluation studies. Paper presented at AILA 2002: The 13th World Congress of Applied Linguistics. Singapore: Singapore International Convention and Exhibition Center, 2002/12/19. 廣森友人 (2018b). 「英語学習者のプロファイリングに基づく自律学習支援の試み」 関東甲信越英語教育学会（KATE）第42回栃木研究大会. 栃木: 白鴎大学. 2018/08/18. 廣森友人・實諒人 (2018). 「日本人大学生の英語学習における動機減退・回復プロセス：TEAを用いた質的調査」 全国英語教育学会（JASELE）第44回京都研究大会. 京都: 龍谷大学. 2018/08/26. 協同学習が学習者の心理的側面に与える影響」 大学英語教育学会（JACET）第57回国際大会. 宮城: 東北学院大学. 2018/08/30. 廣森友人 (2016b). 「自律した英語学習者再考」 大学英語教育学会（JACET）関東支部第10回記念大会. 東京: 早稲田大学. 2016/07/03. 桐村亮・廣森友人・清水裕子 (2015). 「卒業3年後の自分: 就職先での英語使用実態」 大学英語教育学会（JACET）第54回全国大会. 鹿児島: 鹿児島大学. 2015/08/30. 廣森友人・泉澤誠 (2014). 「中高大における英語学習動機づけの発達プロセスとその背景要因」 全国英語教育学会（JASELE）第40回徳島研究大会. 徳島: 徳島大学. 2014/08/09. 吉村征洋・桐村亮・廣森友人 (2014). 「Graded Readersと文学作品の比較読みが学習者に齎す効果について」 日本英文学会（ELSJ）第86回全国大会. 札幌: 北海道大学. 2014/05/24. 松本広幸・中山晃・廣森友人 (2011). 「L2読解における読解方略と動機づけ，学習観の関係：共変動モデル構築へ向けて」 全国英語教育学会（JASELE）第37回全国大会. 山形: 山形大学. 2011/08/20. Tomohito Hiromori (2011). Motivational design for effective second language instruction. Invited talk presented at JALT CUE 2011 Conference: Foreign language motivation in Japan. Japan, Toyo Gakuen University. 2011/07/02. Kimberly Noels・Tomohito Hiromori・Tomoko Yashima (2011). Motivation from the perspectives of teachers and learners. Symposium held at JALT CUE 2011 Conference: Foreign language motivation in Japan. Japan, Toyo Gakuen University. 2011/07/03. 廣森友人 (2009a). 「動機づけ研究の観点から見た効果的な英語指導法」 関西英語教育学会（KELES）第18回セミナー (京都・滋賀地区). 招待講演. 京都: キャンパスプラザ京都. 2009/12/20. 廣森友人 (2009b). 「プロジェクト型授業による英語学習動機の変化」 外国語教育メディア学会 (LET) 第49回全国大会 (企画シンポジウムでの指定討論者). 兵庫: 流通科学大学. 2009/08/05. Naoko Ozeki・Tomohito Hiromori. (2009). The effects of psychological factors on L2 learners' unplanned speech when performing under pressure. Paper presented at the 48th JACET Annual Convention. Sapporo, Hokkai-Gakuen University. 2009/09/05. 廣森友人 (2008b). 「"Situation-specific"な側面から見た動機づけ」 大学英語教育学会（JACET）第47回全国大会. 東京: 早稲田大学. 2008/09/11. 廣森友人・山西博之 (2008). 「愛媛大学版英語運用能力判断基準 (CAN-DOリスト) の精緻化と妥当性の検証」 全国英語教育学会（JASELE）第34回全国大会. 東京: 昭和女子大学. 2008/08/10. 大和隆介・カレイラ松崎順子・木村隆・津田ひろみ・廣森友人 (2008). 「小学校英語活動における学習ストラテジー指導を取り入れた授業実践の成果と課題」 全国英語教育学会（JASELE）第34回全国大会. 東京: 昭和女子大学. 2008/08/09. 大和隆介・津田ひろみ・木村隆・カレイラ松崎順子・廣森友人 (2008). 「自ら学ぶ姿勢を育てる工夫を取り入れた小学校英語活動: 公立小学校2校での質問紙調査と授業実践の結果から」 第38回中部地区英語教育学会（CELES）長野大会. 長野: 清泉女学院大学. 2008/06/29. 折本素・廣森友人・田中英理・山西博之 (2008). 「愛媛大学版英語運用能力判断基準 (CAN-DOリスト) の開発: 項目のレベル付け」 四国英語教育学会（SELES）第20回研究大会. 高知: 高知大学. 2008/06/22. 折本素・廣森友人・田中英里・山西博之・山本武志 (2007). 「共通教育「英語」の成績評価における課題とその解決に向けた試み－愛媛大学における事例」 日本言語テスト学会（JLTA）第11回全国大会. 愛知: 愛知学院大学. 2007/10/28. 山西博之・廣森友人 (2007). 「適切な指導と評価を目指した，愛媛大学共通教育「英語」カリキュラム開発への取り組み」 全国英語教育学会（JASELE）第33回全国大会. 大分: 大分大学. 2007/08/04. 廣森友人・山西博之 (2007). 「愛媛大学における共通教育「英語」の成績評価の現状と課題」 四国英語教育学会（SELES）第19回研究大会. 愛媛: 愛媛大学. 2007/06/24. 廣森友人 (2006). 「英語学習者の動機づけを高める教育介入とその効果」 大学英語教育学会（JACET）第45回全国大会. 大阪: 関西外国語大学. 2006/09/08. 廣森友人 (2005b). 「動機づけ方略 (Motivational Strategies) の理論と実践」 大学英語教育学会（JACET）学習ストラテジー研究会第18回研究会. 東京: 明治大学. 2005/07/23. 廣森友人 (2003b). 「高校生英語学習者の動機づけと学習ストラテジー: 縦断データに基づく因果関係の検討」 全国英語教育学会（JASELE）第29回全国大会. 宮城: 宮城教育大学. 2003/08/10. 廣森友人 (2002b). 「日本人大学生の英語学習欲求尺度の作成とその検討」 外国語教育メディア学会（LET）第42回全国大会. 東京: 大妻女子大学. 2002/08/01. 廣森友人 (2001). 「日本人EFL大学生の言語学習動機づけと英語熟達度との関係について」 大学英語教育学会（JACET）第40回全国大会. 札幌: 藤女子大学. 2001/09/15. 廣森友人 (2005). 「外国語学習における動機づけ研究の現状と課題: "動機づけ"理論から"動機づける"理論へ」 Invited Lecture. 熊本: 熊本学園大学. 2005/01/27.